Marvel Comics has released an exciting new teaser for its Spider-Man-centric late-2018 event series, Spidergeddon. Taking cues from DC’s Watchmen, the teases touts, “Spidergeddon is Nigh,” and features several fan-favorite Spider-Men and Women from across the Multiverse and multpile eras of Spider-Man gone by. It also teases the creative team for the core Spidergeddon event: writer Christos Gage and artist Jorge Molina. Take a look at Marvel’s latest teaser for the much-hyped Spidey event, below. 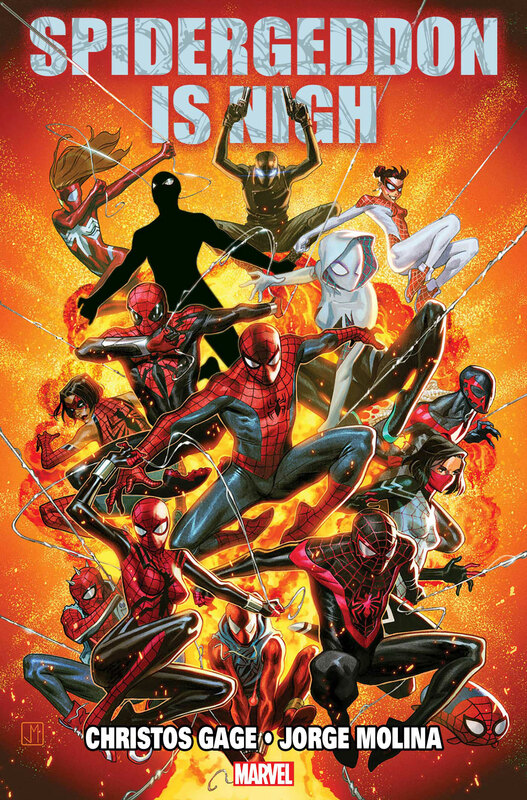 Poised to serve as a follow-up to the successful Spider-Verse event, Spidergeddon — though still shrouded in mystery — is expected to bring together various spider-powered heroes from various runs on the friendly-neighbourhood wall-crawler. The event kicks off with Edge of Spider-Geddon #1 and #2, which had their solicits revealed a couple weeks back, confirming the presence of more fringe Spider-Men and Women like SP//dr and Spider-Punk. Stay tuned to CBR as further details are revealed surrounding the mysterious Spidergeddon, in addition to solicits, covers, teasers and more! The post Spider-Men & Women Across the Multiverse Unite in Spidergeddon Teaser appeared first on CBR.